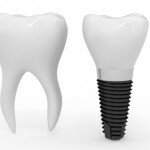 Dental implants have been in general use for many years. This review sets out to consider the success rates for implants of <10mm in partially edentulous patients. Searches were conducted in the Medline and Embase databases with two reviewers independently assessing methodological quality using specific study design-related quality assessment forms. Randomized-controlled trials and prospective cohort studies with a follow-up of more than 1 year were included. Twenty nine studies involving 2,611 implants between 5-9.5mm in length met the criteria with two-year survival proportions being calculated. The cumulative estimated failure rate in the maxilla was 0.010 implants/year, compared with 0.003 found in the studies in the mandible. In studies including smokers, the failure rate was 0.008 compared with 0.004 in studies that excluded smokers. Surface topography and augmentation procedure were not sources of heterogeneity. there is fair evidence that short (<10 mm) implants can be placed successfully in the partially edentulous patient, although with a tendency towards an increasing survival rate per implant length, and the prognosis may be better in the mandible of non smoking patients. Telleman G, Raghoebar GM, Vissink A, den Hartog L, Huddleston Slater JJR, Meijer HJA. A systematic review of the prognosis of short (<10 mm) dental implants placed in the partially edentulous patient. J Clin Periodontol 2011; 38: 667–676. 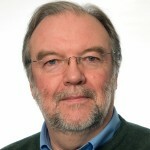 doi: 10.1111/j.1600-051X.2011.01736.x.